Interest and space for including religious actors in policy on countering violent extremism (CVE) has grown over the past few years, but debates over the degree to which ideological, religious, or structural factors contribute to violent extremism have not yielded clear guidance for policymakers and practitioners. The role of religion as a potential driver of violent extremism is significant, but religion usually interacts with a wide range of other factors and causality is not linear. An alternative approach that focuses on the role or function of religion in violent extremism—facilitating mobilization, providing a counternarrative, providing a justification, and sanctifying violent acts—shows promise. Religious leaders are integral members of civil society and key contributors to public and political discourse. Engaging them in all spheres of government work, carefully and with sensitivity to power asymmetries and potential risks, is needed. Understanding how religious factors affect violent extremism can help inform the design and implementation of CVE solutions that engage the religious sector. The track record highlights ways in which religious actors can be partners, including when and how to engage them, how to design effective training, and how to ensure effective partnerships across sectors through inclusivity and addressing potential political obstacles. Recommendations for policymakers and practitioners include a focus on CVE roles for faith actors beyond the religious sector, practical approaches for avoiding undue governmental entanglement in religion, and suggestions for how to ensure appropriately sized and inclusive engagement with religion and religious actors in the CVE context. Ensure alignment between counterideology or counternarrative efforts and work focused on other drivers of violent extremism. Think beyond theology when assessing potential roles for religious actors in CVE. Think beyond old men in churches and mosques. Do not let CVE become a pretense for proscribing religion. Avoid endorsing particular interpretations of religion or using religious language and symbols in official government statements. Those interested in countering Violent Extremism by engaging Religion and Religious Actors in Countering may please read United States Institute of peace report . North Korea shows no signs of stopping or even slowing down its attempts to achieve an effective nuclear deterrent. And neither will it cease test-firing projectiles on a ballistic trajectory over Japan. In late August, Pyongyang penetrated Japanese airspacefor the first time in some years, a move that sparked international condemnation. With its follow-up test early on Sept. 15, North Korea launched another ballistic missile over Japan's northern island of Hokkaido. The projectile travelled the equivalent distance from Los Angeles to Washington DC before dropping into the northern Pacific Ocean. The launch site — near Pyongyang International Airport in the city's Sunan district — was the same as the Aug. 29 test. As technology transforms the workplace, the need for innovation in learning and development is urgent. In a series of recent discussions, members of the Consortium of Advanced Adult Learning & Development (CAALD)—a group of learning authorities whose members include researchers, corporate and nonprofit leaders, and McKinsey experts—recently met in Boston for the second year in a row. 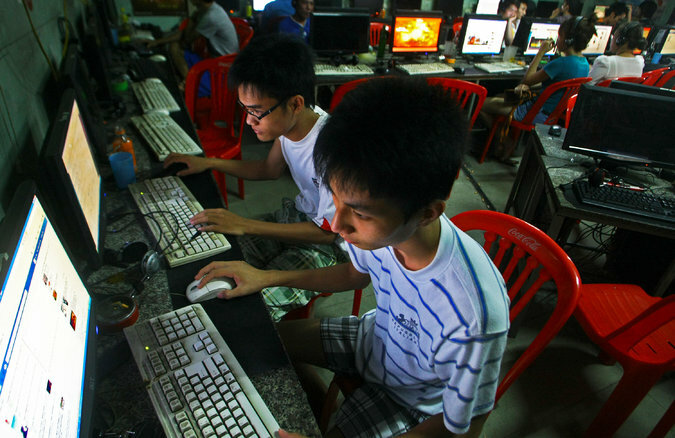 Summary: Stratfor describes the next phase of China’s expansion and its likely consequences. China’s political and environmental problems are typical of what global growth will create during the next several decades. We must learn to manage this process better as we go from today’s 7 billion people to the almost inevitable 10 billion by 2050. Failure will wreck the world with some combination of war, pollution, and habitat destruction. If America does withdraw from the Paris climate agreement, emerging Asia will pay the highest price. As I left Manila recently, tropical storm Isang passed the Batanes area in northern Philippines. When I flew to Guangzhou, the low-pressure area morphed into a tropical depression southeast to Taiwan and then into a typhoon in the South China Sea. On August 23, Hato’s eye was directly over Hong Kong as rapid intensification turned it into a category 3-equivalent typhoon. Days later, Hato had left behind 26 people killed, and damages amounting to $1.9 billion in mainland China. 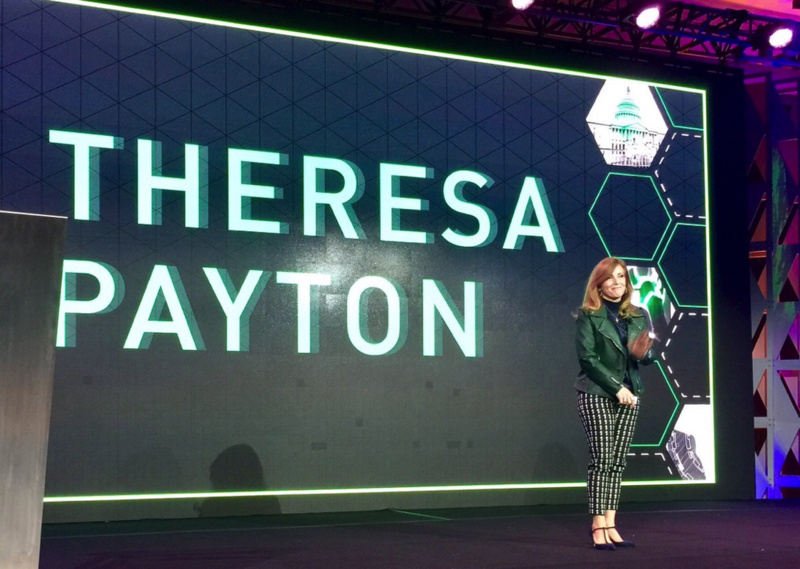 I recently interviewed the former CIO for the White House (under the Bush administration), Theresa Payton, about why marketers must start engaging in cybersecurity before crises like the recent Equifax cybersecurity incident emerge. As the current CEO of Fortalice Solutions, a cybersecurity and intelligence consulting firm that helps businesses and government organizations protect themselves from emerging threats, I turned to Payton to help indentify the seven cybersecurity questions every business leader should be asking. Revisiting the location of significant moments in your life unleashes a flow of memories. Walking the halls of your high school, you recall your glory days. But you also see how the place has changed. The trophy case of state championships has been moved. Mrs. Johnson has retired, and her venerated classroom is now occupied by someone else. At once memories long buried are unearthed. You are disoriented by how different things seem from what you remembered. Can the US Military Re-Invent the Microchip for the AI Era? As conventional microchip design reaches its limits, DARPA is pouring money into the specialty chips that might power tomorrow’s autonomous machines. It’s one thing to get a bunch of transistors on an integrated circuit to crunch numbers, even very large ones. But what the brain does is far more difficult. Processing vast amounts of visual data for use by huge, multi-cellular organism is very different from the narrow calculations of conventional math. The algorithms that will drive tomorrow’s autonomous cars, planes, and programs will be incredibly data-intensive, with needs well beyond what conventional chips were ever designed for. This is one reason for the hype surrounding quantum computing and neurosynaptic chips. Strategic circles in South Asia have been obsessed with Washington since August 21, when President Trump addressed the nation from the Fort Myer military base in Arlington, Virginia, and laid out America’s military plans for Afghanistan. The speech had been interpreted as his vision for South Asia, given the Af-Pak dynamic and the potential role he envisaged for India to play in stabilizing her neighborhood. Russia has shown it is both willing and capable of using cyber capabilities to interfere in the West’s democratic elections. With the German elections coming up on September 24th, it is likely Russia will again – much like the United States and France – seek to sow confusion and distrust intended to weaken the foundation of liberal democracy – its electoral process. The Cipher Brief’s Levi Maxey spoke with Stefan Meister, the head of the Robert Bosch Center for Central and Eastern Europe, Russia and Central Asia at the German Council on Foreign Relations, about what tactics Russia will likely employ against Germany and what it ultimately seeks to accomplish in its efforts. “How” to read seems a strange and perhaps even condescending way to propose a book list. However, given that reading takes time, and that those who might have the most use for good reads often have little time and long lists to go through, as well as many outlets to consult (including blogs, tweets, recommendations), it might be more useful to reflect on how I go about choosing what books I read and how I consume information. 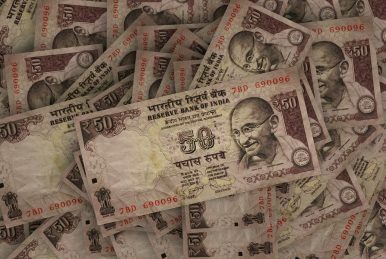 Is India's Demonetization a Failure? Data released by the Reserve Bank of India indicates that demonetization has failed to flush out black money. While short-term indicators show that the Indian government has failed to meet stated objectives, demonetization could be an economic success in the long term. When Prime Minister Modi announced plans to demonetize ₹500 and ₹1000 notes on November 8, 2016, he said removing black (undeclared) money from the economy would combat both terrorism and corruption. How do ceasefire violations in Jammu and Kashmir actually happen? Ceasefire violations between India and Pakistan along the Line of Control and the international border in Jammu and Kashmir (J&K) continue. The number of ceasefire violations till August this year are nearly as much as for all of 2016. Last week four people, including two BSF personnel, were injured at Poonch in the face of “unprovoked firing” by Pakistani troops. The ceasefire agreement of 2003, which held for over a decade, has effectively broken down. Are India-Pakistan Peace Talks Worth a Damn? 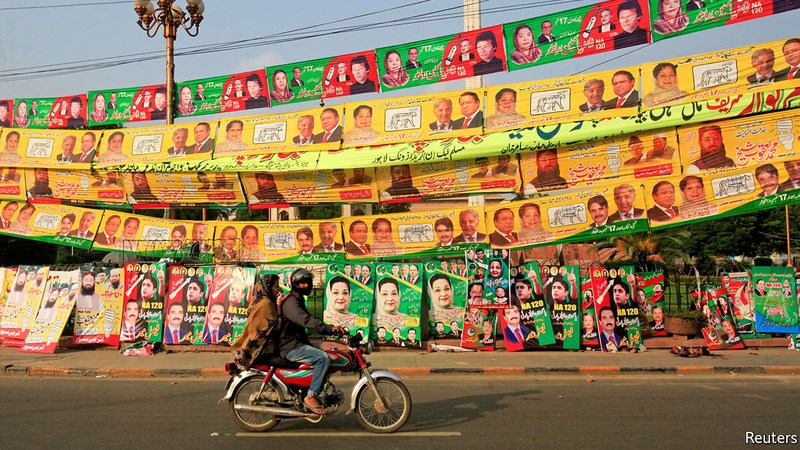 AT A pre-election rally, a procession of cars and pick-up trucks squeezed through the narrow streets of Lahore. The crowd sweated, cheered, trod on each other’s feet and rained rose petals on the parade. All that was missing was the candidate. Kulsoom Nawaz Sharif, the former first lady of Pakistan, was in London undergoing cancer treatment. She did not campaign at all, leaving that job to her more charismatic daughter, Maryam Nawaz. In 1969, Richard Nixon, about eight months into his Presidency, grew frustrated with the North Vietnamese leadership. The President wanted to negotiate an exit from the Vietnam War, but his adversary’s terms were unyielding. Nixon thought that he needed the Soviet Union to pressure North Vietnam; he also believed that Leonid Brezhnev would act only if he was convinced that the U.S. was about to do something crazy. In late October, Nixon ordered an operation code-named Giant Lance. B-52 bombers loaded with atomic weapons took off from bases in California and Washington State and headed toward the Soviet Union, then flew in loops above the polar ice cap. In August, a Jakarta court jailed 28-year-old Dian Yulia Novi for seven-and-a-half years for plotting to carry out a suicide attack outside the Presidential Palace during the changing of the guard, an event that is popular with tourists and locals. Novi, who is currently pregnant, admitted to the plot so the three judges did not heed the prosecution call for a 10 year sentence. Novi’s conviction highlighted the increasing number of women carrying out terrorist attacks for the Islamic State terror group. In 2016, a cell of radicalised French women planned an attack outside Notre Dame Cathedral. Although we just watched two enormous hurricanes rip through Texas and Florida, it is worth remembering that Mother Nature can easily surpass the biggest conventional weapons in our arsenal, unleashing destruction over vast areas. Fortunately, we have a force capable of responding to such disasters in the U.S. military. As I often said when I led disaster-relief efforts in Latin America and the Caribbean, "We are very good at launching missiles, but we can launch angels as well." The Brazil, Russia, India, China and South Africa grouping (BRICS) has since long ceased to be of material significance as multilateral institutions go. The recent BRICS Summit in Xiamen (China) only seemed to confirm this. It suggests that BRICS may be going the way of quite a few other organisations.